The Oodua People’s Congress (OPC) said it would pull out its men from guarding all Nigerian National Petroleum Corporation (NNPC) pipelines nationwide. According to Yinka Oguntimehin, spokesman for the Gani Adams faction of the group, the decision followed the delay in payment of the OPC members by the NNPC. As part of the contractual agreement entered into three months ago, NNPC was supposed to have started payment, Oguntimehin noted. “When we were given the contract on March 15, it was agreed that they will release money for OPC personnel for effective protection of NNPC pipelines nationwide. “We lost one man last month because of the activities of the vandals here in Lagos, while some of our men were arrested in the course of protecting the pipeline. “We had told them to release some of our money before the new administration took over, but they kept promising us. “Enough is enough. Three months have passed since our members started monitoring the pipeline, and we have fulfilled our part of the agreement. “By 10p.m. today (yesterday), our personnel will move out of the NNPC pipelines nationwide and this applies to other groups in the country,” Oguntimehin said. 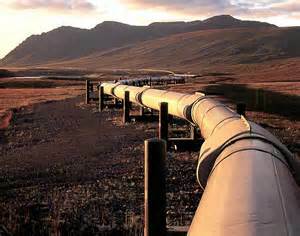 Government had in March awarded a multi-billion naira contract to OPC to secure NNPC pipelines in the South-West region.